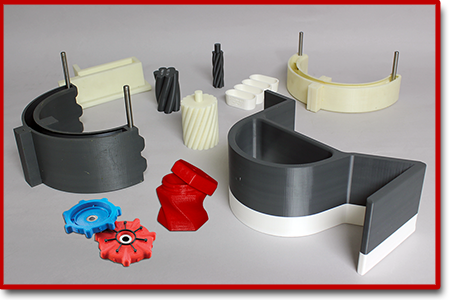 Elastomer Specialties, Inc. now provides 'NEW' 3-D Printing capabilities for customers looking for a quick turnaround time and ability to have stunning models, parts or molds that will fit within their budget. 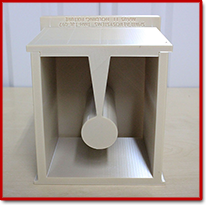 Our typical applications include manufacturing for conceptual models, visual analysis, low-volume production molds as well as engineering evaluations. 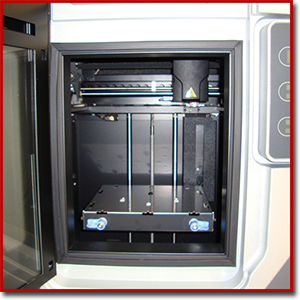 In order to offer our customers the best service possible, we chose two different 3-D printer models. The FORTUS 250MC is our smallest machine with an operation build-size platform of 10"W x 10"D x 12"H. It is primarily used for smaller projects designed for visual analysis and conceptual models. The material used most frequently for these projects is an ABS product which keeps material cost at a minimum. When it comes to much larger projects ESI decided to incorporate the FORTUS 900MC. 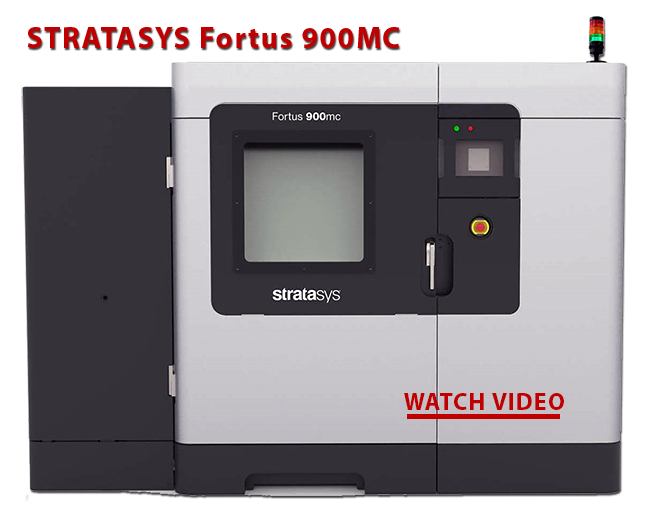 Both machines are made by STRATASYS. The 900MC offers a build-size platform of 24"D x 36"W x 36"H.
Our Fortus 900MC is currently set up to operate with 4 separate materials, ULTEM 9085, POLYCARBONATE, ASA and NYLON 12 CARBON FIBER. The 900 is by far the most versatile of the two machines and can build large scale parts or molds. 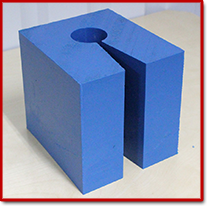 Fused Deposition Modeling (FDM) technology is used to construct three-dimensional objects directly from 3-D CAD data. The machines create prototypes using industrial strength thermoplastic, many of which can withstand high temperatures, exposure to harmful chemicals and intense mechanical loads. A temperature-controlled head, located inside a closed cabinet, extrudes thermoplastic material in layers, similar to how a hot glue gun extrudes melted beads of glue. Layering of this material produces parts with a very complex geometry that cannot be obtained by traditional methods of production. In today's ever growing fast pace industry you will find FDM technology being utilized by engineers, designers and manufacturers on a daily basis. 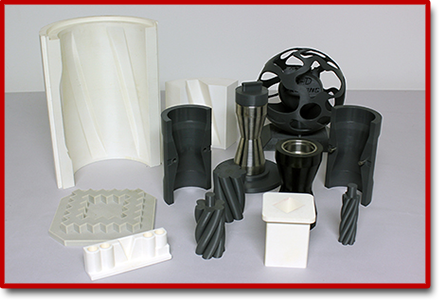 If you or your company is looking to produce parts, a product mold or prototype from your 3-D CAD file without the time and cost associated with machining, tooling and outsourcing then Elastomer Specialties can provide you with what you are looking for. If you decide to eventually go into high volume part production, we also have that capability. At ESI, no outsourcing is necessary! We are a 'ONE STOP SHOP' and can take your project from beginning to end in the shortest amount of time possible. 3-D Printing Options and Advantages! There are many choices that need to be addressed before you can order a 3-D printed part or prototype. What size part are you looking for? Parts can be made smaller than their original size. Standard colors most generally include black or neutral, however 'Other Colors are Available' depending on the material selected to make a specific product. 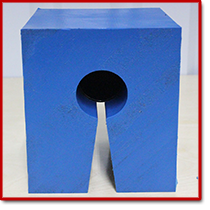 Parts can be produced with some strength for functional use or display purposes. Parts can be hollow or solid inside. Changes can be made to the part's shape. What is needed to start 3D Printing? It is helpful to have a STL file. STL is the format used by most 3-D printers. We can convert your CAD model into an optimized 3D print file. If you have 'Accurate' sketches or drawings, we can create one from these. 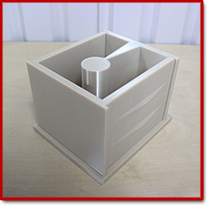 If you have a physical part, such as a hand-made prototype, we can possibly create the file and part. 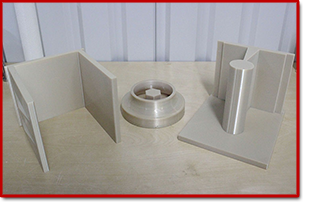 Type of Parts We Can Create and Advantages of Machining! How much time does it take and what is the cost? 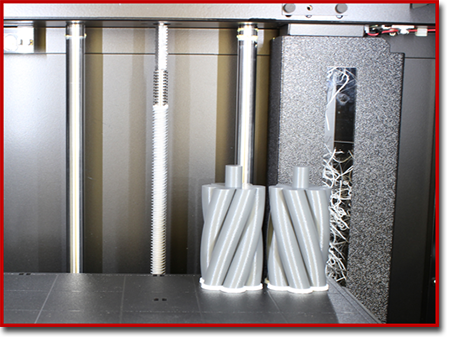 To obtain specific details on estimated 3-D print time and total cost, contact Elastomer Specialties, Inc. (800) 786-4244 or (918) 485-0276.